With so much work being published in so many different forums in today’s world, it is hard to know when relevant research is published. Enter a match made in heaven: RAMBI feeds and Google Reader! 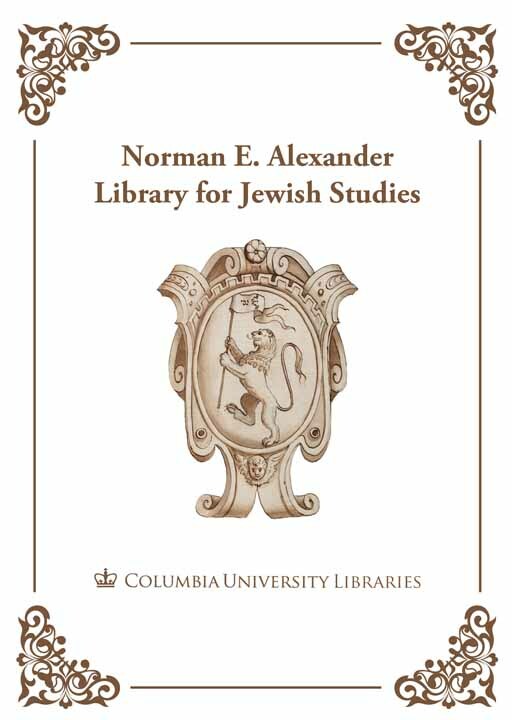 RAMBI, discussed earlier here, is a catalog of articles and chapters in the field of Jewish Studies. RAMBI allows scholars to select an RSS feed from a choice of 17 topics straight to your feed reader. In this way, you can be informed of cutting edge research as it is being published (or shortly thereafter). As an example: Columbia University Libraries contains a tremendous collection of rare materials relating to the Jews of Corfu, and thus I am very interested in anything that is published about this community of Jews. Naturally, I have Modern History as one of my feeds from RAMBI. It was thus that I noticed a new article, "Privileges, legality and prejudice : the Jews of Corfu on the way to isolation," published in an Italian book ("Interstizi"; culture ebraico-cristiane a Venezia e nei suoi domini dal Medioevo all’età moderna), which I otherwise may not have seen. And, of course, since it is shelved in Butler, I can go pick it up at my leisure. Highly recommended for those interested in finding out the latest research in your fields! This entry was posted in Uncategorized and tagged Corfu, Rare_Books, Secondary Sources on December 12, 2011 by Michelle. Faculty and doctoral students: Borrow books from NYPL and NYU! On March 18, 2011, "The New York Public Library and the libraries of Columbia University and New York University have launched a pilot initiative to expand access and use of collections and better serve their users. The collaboration, dubbed the Manhattan Research Library Initiative (MaRLI), will enable NYU and Columbia doctoral students, full-time faculty and librarians, and approved New York Public Library cardholders with a demonstrable research need not met by currently available resources, to borrow materials from all three institutions." Both NYPL and NYU have extensive and important Judaica collections, and this will be the first time that NYPL’s research collections will circulate (albeit with exceptions). This entry was posted in Uncategorized and tagged MaRLI, NYPL, NYU, Secondary Sources on March 25, 2011 by Michelle. 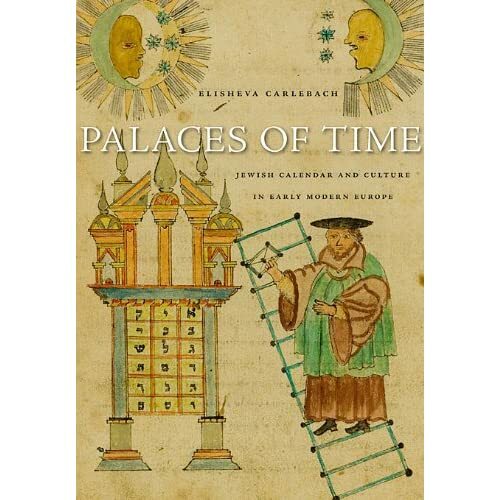 Congratulations to Columbia Professor Elisheva Carlebach on the publication of her newest book, Palaces of Time, by Harvard University Press. "From one of the leading historians of the Jewish past comes a stunning look into a previously unexamined dimension of Jewish life and culture: the calendar. In the late sixteenth century, Pope Gregory XIII instituted a momentous reform of Western timekeeping, and with it a period of great instability. Jews, like all minority cultures in Europe, had to realign their time-keeping to accord with the new Christian calendar. After exploring Judaica collections around the world, Carlebach brings to light these textually rich and beautifully designed repositories of Jewish life. With color illustrations throughout, this is an evocative illumination of how early modern Jewish men and women marked the rhythms and realities of time and filled it with anxieties and achievements." The Columbia Hebrew Manuscript collection has many of these calendars, but none as profusely decorated as the one described here. N. B. There will be a brief talk/book signing at Columbia University Bookstore, this coming Wed. night (4/6) at 6pm. 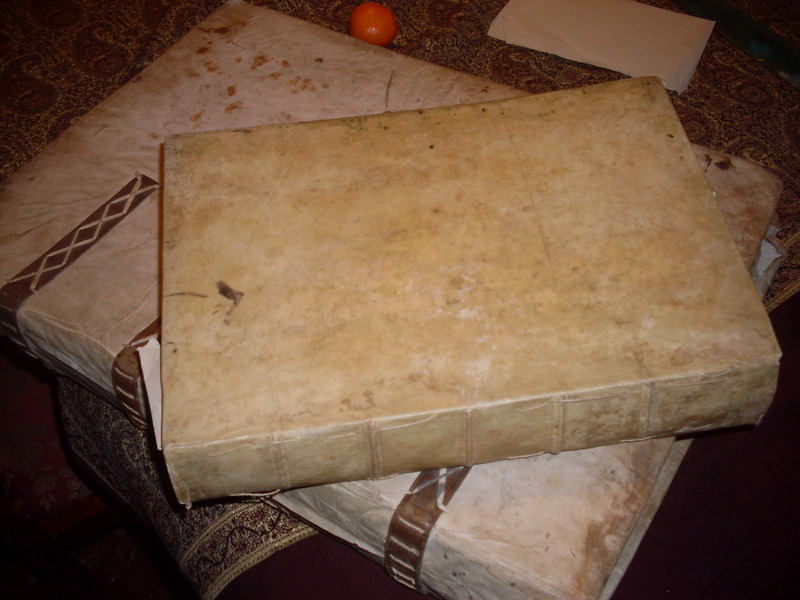 This entry was posted in Uncategorized and tagged 'Evronot, Carlebach_Elisheva, faculty_publications, Hebrew_mss@cul, Secondary Sources on March 18, 2011 by Michelle.